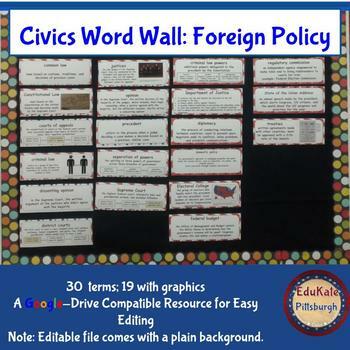 Give your students ready access to content vocabulary. 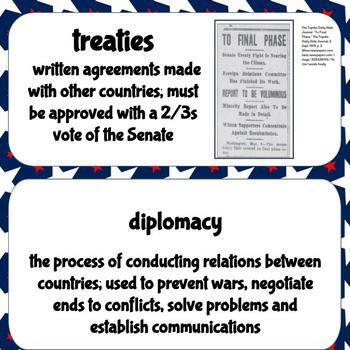 These 31 terms will support your students in reading, writing, speaking, and thinking of foreign policy. 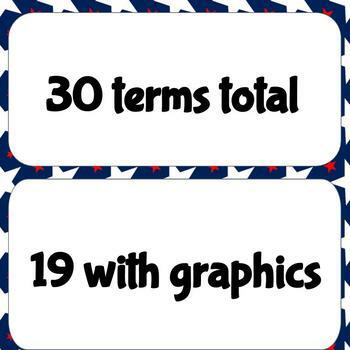 Nineteen of the terms include cited graphics. 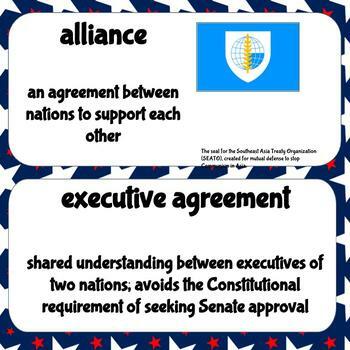 This is fully editable in Google Slides or PowerPoint with a plain background. The included PDF has the printed background. Simply print, trim, laminate, and assemble on a bulletin board. Having a current word wall makes a teacher look current and on-top-of the game! Make that impression for students and administrators by having a more "finished" social studies classroom.